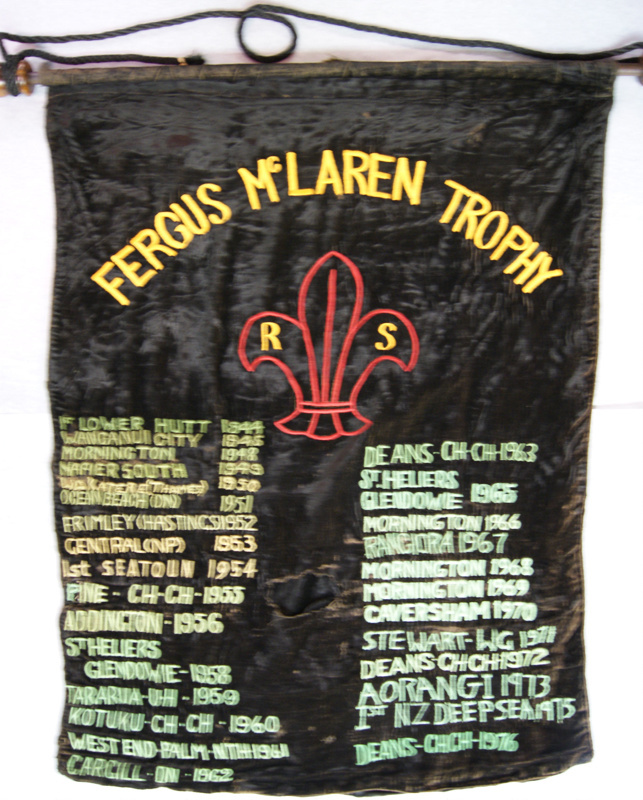 A banner which is named in memory of a Dunedin Rover Scout, Fergus McLaren, and awarded at the annual Rover Moot (normally held over Easter weekend) to the Rover Crew who display the best Rovering spirit at the event. 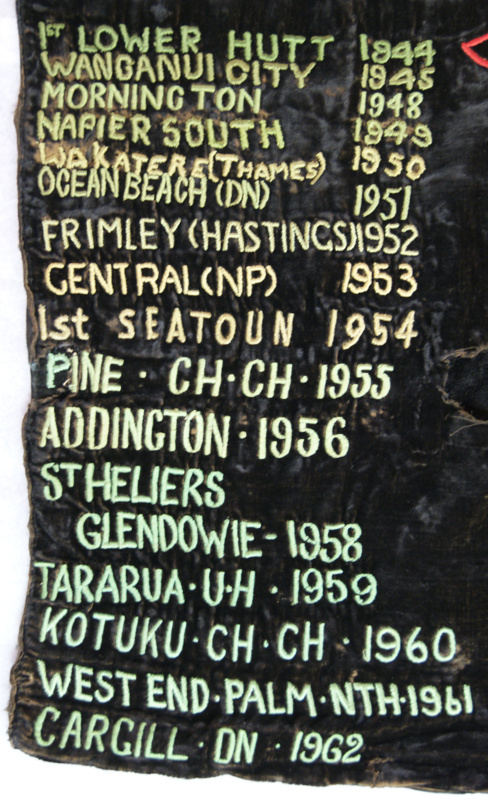 This particular banner is the original one and is no longer in use. 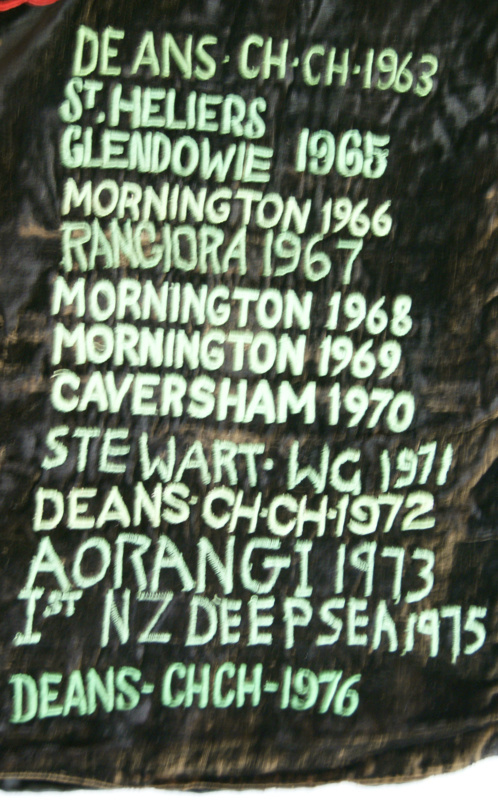 it was used between 1944 to 1976 before being replaced with a new banner.